The financial markets can be somewhat intimidating to a newbie. For starters, there are all those charts, graphs, changing numbers, signals, indicators, trends, analysis and endless data streams that pepper the trading arena. To a neophyte, this can be off-putting. Fortunately, the financial markets are designed for high levels of interaction for traders across the spectrum. 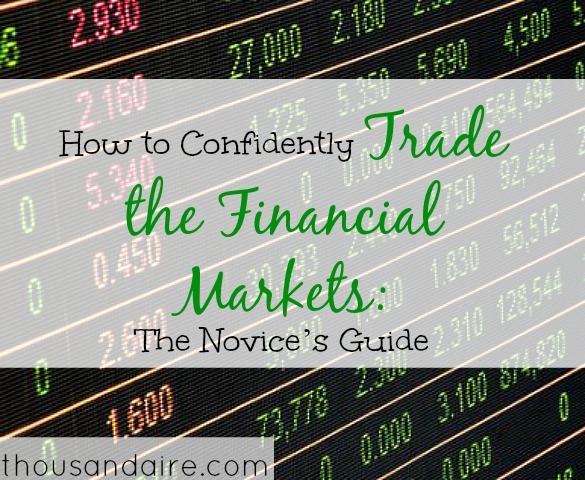 Whether you’re a newbie or a seasoned professional, the steps that you need to take to successfully trade financial instruments are essentially the same. Research, analysis, and decision-making are integral components of the trading process. The most important tip for all traders is the following: understand the macro economic variables that impact the price direction of your chosen asset. To put things into perspective, imagine how disingenuous it would be to sell USD en masse ahead of an expected rate hike by the Fed. Another example could be going long on Wall Street equities when overwhelmingly positive NFP data is released. Just recently, the June nonfarm payrolls data was announced. Analysts were anticipating an increase of 180,000 new jobs for the month, but the actual increase was 220,000 new jobs. This news caught many traders by surprise. For starters, a wave of negative sentiment had washed over the NASDAQ composite index. Traders were shorting tech stocks in their droves. Many analysts, particularly those leaning left of center in the political arena were calling it the beginning of the end of the bull market. In their opinion, the inflated stock market was beginning to deflate and trends were reversing. Then, out of left field, NFP data surprised everyone. Suddenly, those tech stocks that had taken a hit were now value-driven investments (because they were cheaper), and everybody piled back into Wall Street bourses. By the close of the week on Friday, 14 July 2017, the Dow Jones, the NASDAQ and the S&P 500 were all in the black. Initially, gold started to reverse course after the tech-stock sell off but another reversal took place soon thereafter. This just goes to show that the complex interactions and interrelationships in the financial markets need to be constantly monitored. It is foolhardy to assume that anything is ironclad in the markets. The financial markets should be perceived as dynamic and fluid since anything can cause them to reverse course. “…It has often been said that in a room full of analysts, there are always more opinions than the number of analysts in the room. This goes to show that the financial relationships in markets are nonlinear, and even obtuse at times. While a Fed rate hike may be perceived as good for the USD, it may cause the opposite to occur. Generally, the theory is sound. You can expect the USD to rise in value with a series of rate hikes to the federal funds’ rate. Provided the sentiment shared by the Fed is upbeat, this bodes well for the US economy as a whole. As such, the safe decision would be to sell foreign currency and buy the USD, and invest in US equities. In such a situation, gold demand would taper off in favor of US equities. There is a multitude of similar complex interactions that exist in the financial markets.